We want to hear from YOU! 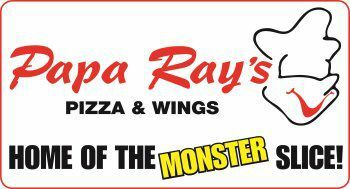 Tell us what you think about Papa Ray's Pizza and Wings on Yelp. Yelp is a great way to find new restaurants and read reviews from diners just like you! Did you love our mushrooms on that cheesy pizza you ordered? Tell us! Are you still obsessing over our excellent award winning wings? Tell us! Did you have an amazing experience with online ordering? Tell us! We are here to serve you the best pizza pie you've ever tasted and we can't do that without feedback! So hop on that iPhone, Android, etc. and pull up the Yelp app and tell us what you think! Click HERE to review us and be on the lookout for additional promotions.